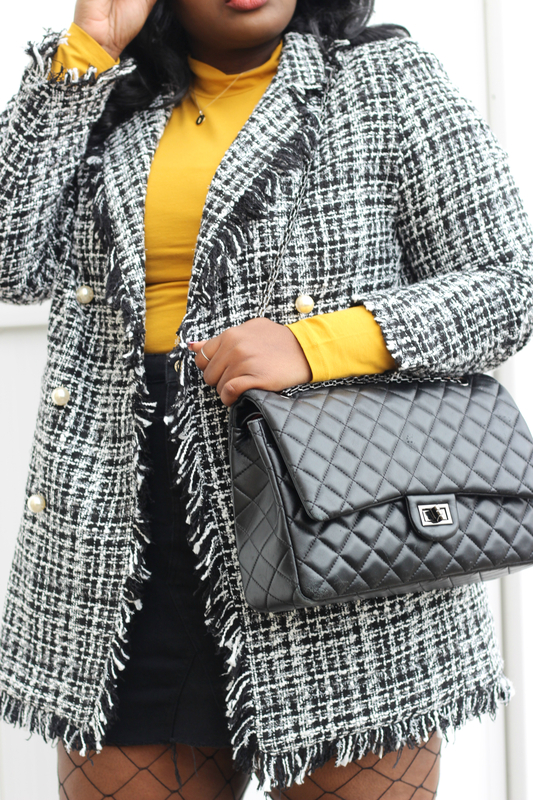 Hi Chicsters, today’s post is all about this transitional outfit. Right now we are kind of in that awkward stage where it’s starting to feel more like spring than winter but it’s not quite bare leg weather. Ive been sitting on this tweed jacket (On Sale RN) since late fall and I planned on shooting sooner rather than later but I was missing a piece I needed for the outfit I had in my head and that was these boots (On Sale). I originally planned to snag them in white but I was waiting for them to get marked down sadly I waited too long! 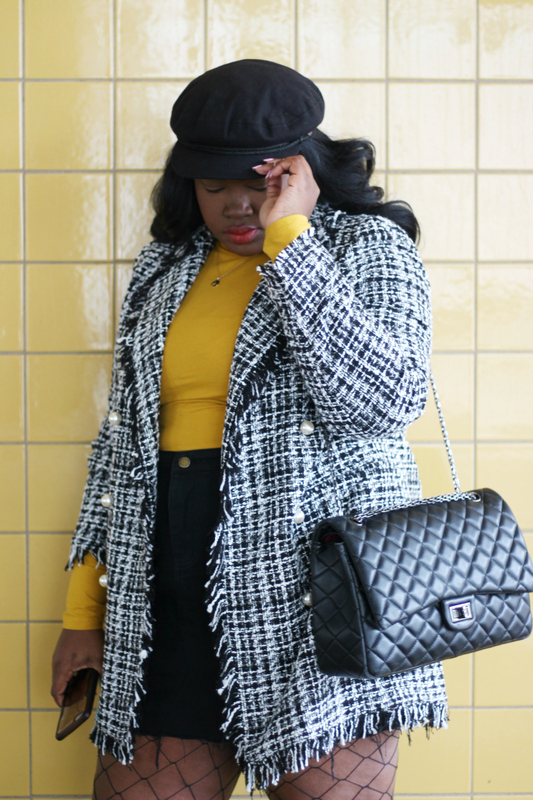 The inspiration for this was definitely Zara early fall but I brought into spring by pairing it with my yellow turtle neck! 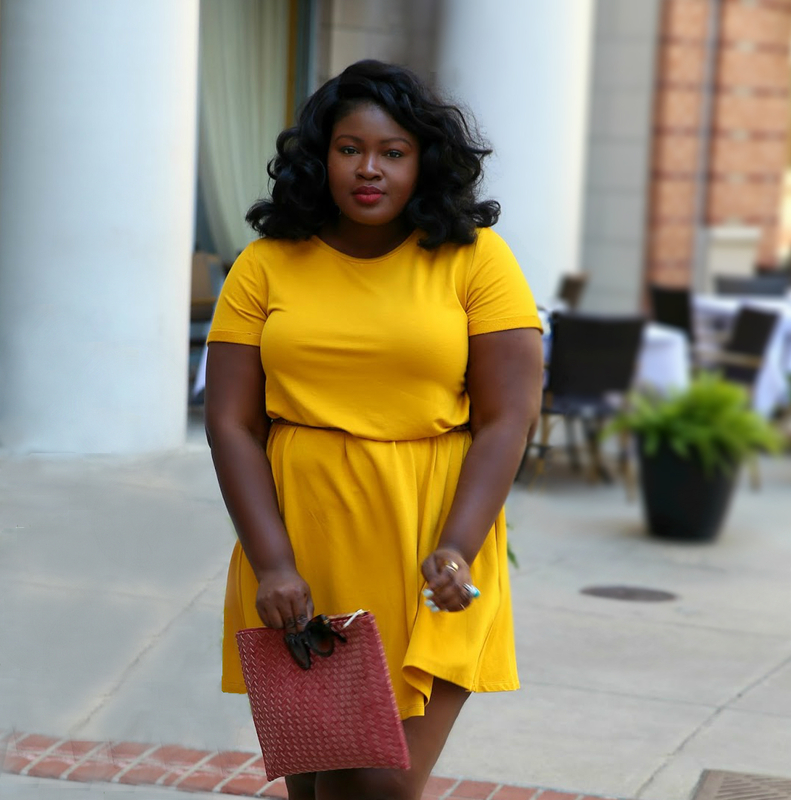 Marigold, Mustard basically yellow was a huge trend for spring and I guess is my consolation. However, I can’t help but imagine how more springy this look would have been with the white pair! I’ll stop lamenting now. To complete the Zara/ Coco inspired look I threw on my handy dandy baker boy, fishnet tights (remember not quite bare leg season) and a crossbody! I have to say I’ve been gotten so much use out this bag I love it but beware though the bag is a smoother leather and does show wear it will require you to take care.